Here is a quick and easy little way to add trim to some kid’s or adult gloves. 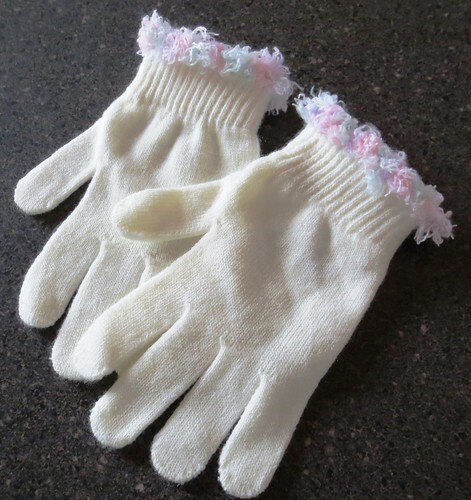 I used fun fur that I got at the dollar store to trim these simple gloves. 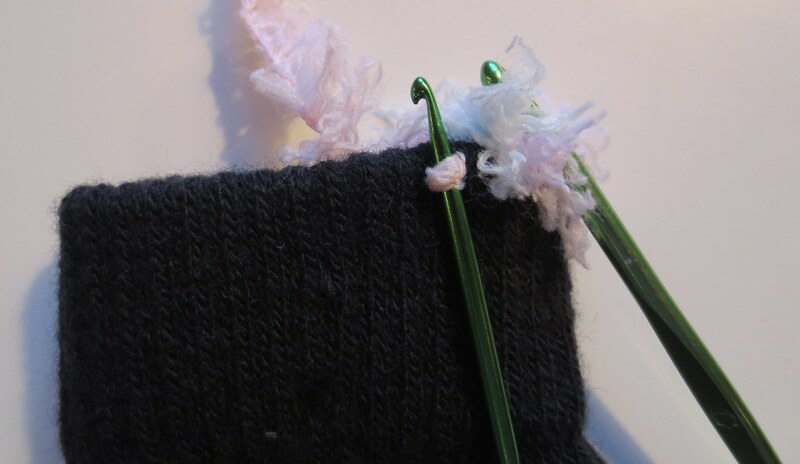 Here are a few photos showing the single crocheting around the edge of the gloves. Click on any of the photos to enlarge the images. This project requires one smaller crochet hook such as an E USA hook and one G crochet hook. You crochet one row of single crochet stitches around the top edge of each glove. 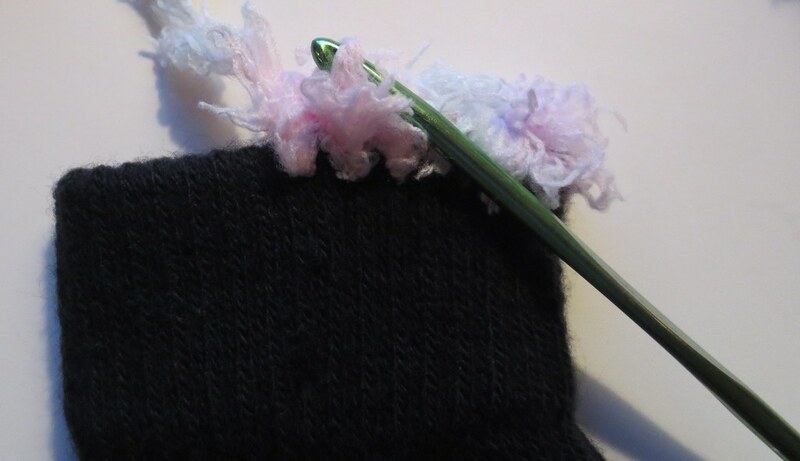 Insert small crochet hook (E hook) into the top edge of glove as shown. 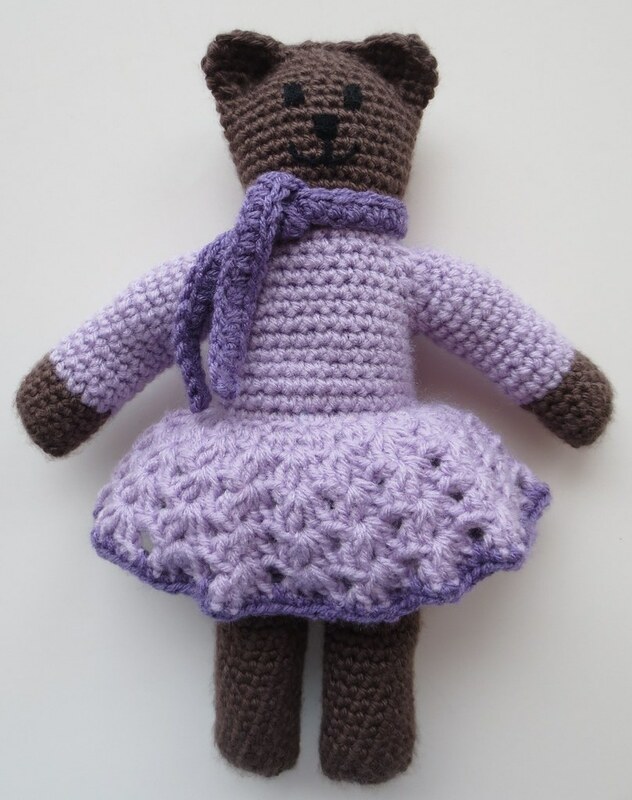 Pull up yarn through the hole you make with the smaller hook and then using G crochet hook finish the single crochet (SC) stitch.